It's barely past lunch and we've already reached a goal I fell short of in 1979. Even accounting for winding streets it's less than two miles from Plaka to museum, yet at that time I was so weak that the short distance was insurmountable. I'd been hammered by food poisoning leaving London. Suggestion: don't eat fish & chips on the Dover-Calais ferry. Not if it's still 1979 anyway. All the way through Paris to Marseille to Rome to Brindisi to Patras to Athens I either slept or puked, so that while I vividly remember the British Museum pre-poisoning there's almost no recollection of the Louvre afterward. Wondering now if I ever went there. But I do remember the first day in Athens. Walking by myself down Rue Adrianou, buying bread and milk in shops, eating a pork chop in a below-street-level restaurant with an English language menu at the top of their stairs. Exhausted, trying to regain strength. 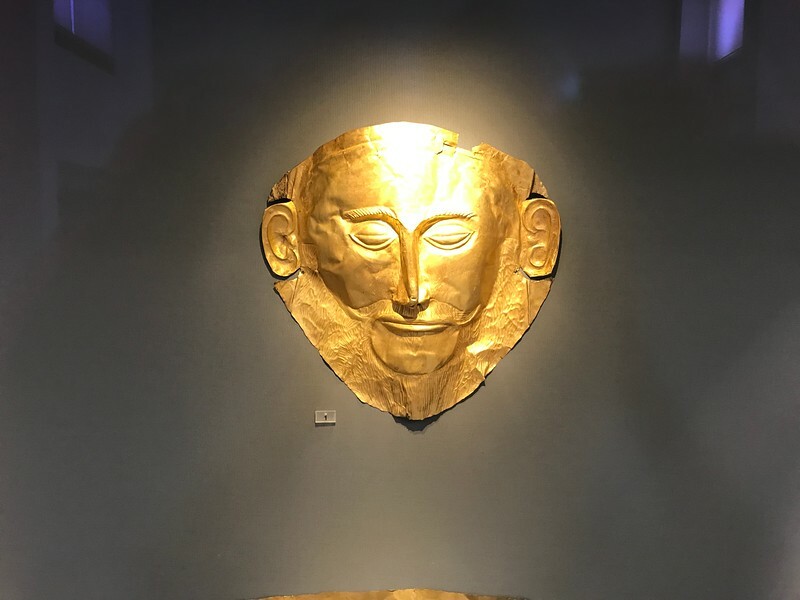 Today we wander the Plaka, have lunch in Syntagma Square, tour the National Archaeological Museum, tour the Roman baths on Vassilissis Amalias, tour the Temple of Olympian Zeus, wander the Plaka some more, buy fruit from a neighborhood market, eat a wonderful dinner on Makrigianni under the shadow of the Acropolis. All the while feeling a sense of bittersweet wonder to be undeniably far more healthy 38 years on than I was then in the "prime" of age 22.